Tarrillion Masonry is always a pleasure to work with. Their work in the field is excellent, they move in and get the work done without any issues on quality control or schedule. And their paper work is always in on time and correct. We have worked with Don Tarrillion of Tarrillion Masonry for many years and he always does an excellent job. His masons’ work is beautiful and well done. Not only is Don creative and helpful in the selection and design of the stone, but he also is very responsible, both in pricing and in timeliness, and is easy to work with, too. Don is someone who does what he says he going to do when he says he is going to do it! How rare is that in any business?? We at Burdick Custom Homes have the greatest respect for Don and his team. Tarrillion Masonry is the best masonry subcontractor we have ever had. Don and his team of quality craftsman are always very professional, responsive, a pleasure to work with, and we know it will be done right. I was really pleased with the performance of this fine masonry company on the 202 La Jara Project, which would be a good example of the quality of the work they do. Of particular interest, the work was just first class and for a VERY discerning client…. Easy to give a strong recommendation from my firm, great work! Tarrillion Masonry has been a great subcontractor. Very professional with prompt returns on bids and scheduling for projects. All their workers are very talented and take a lot of pride in their work, which is hard to find these days. Also, which is hard to find on the job site, is that they all get along with the other subcontractors in trying to complete the project. Tarrillion Masonry has done my residential interior, exterior, and hardscape masonry for my high-end luxury homes for the past 10 years. He exhibits skill, attention to detail, prompt scheduling, and most of all the highest of integrity. I would recommend his services to anyone having the need for a top-flight masonry contractor. We have worked with Tarrillion Masonry on numerous projects. 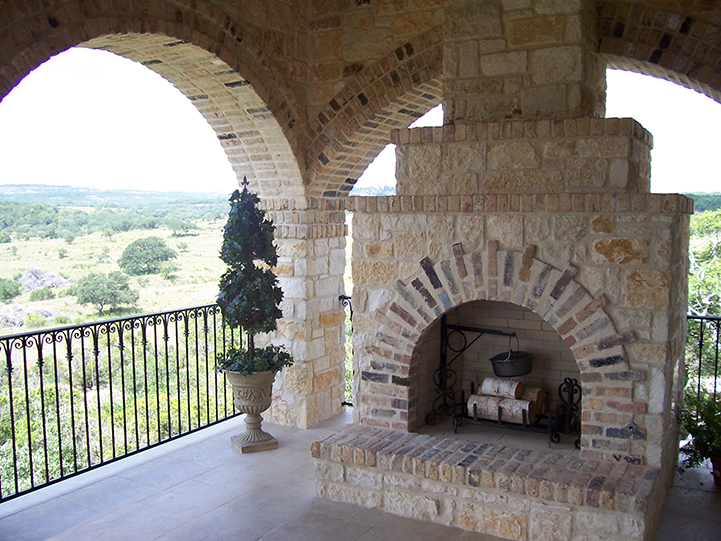 Tarrillion Masonry has always been honest, quick to respond, and performed the work at a very high quality level. Tarrillion Masonry has done my residential interior, exterior, and exterior hardscape masonry for my high-end luxury homes for the past 10 years. He exhibits, skill, attention to detail, prompt scheduling, and most of all the highest of integrity. I would recommend his services to anyone having the need for a top-flight masonry contractor.